Preston Grasshoppers is a venerable club, a solid club, but not one that, historically, has ever risen to the very top. It has had its internationals, but in this professional age seems content to merely start them off for others to take on. 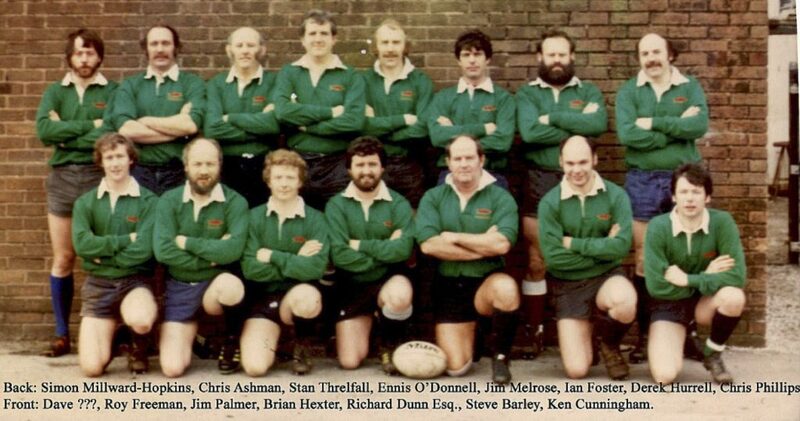 It has been and remains, however, a proper rugby club – where folks are welcoming, where any size and shape can get a game, and where friendships begin and end on who you are not what you are. 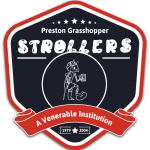 This platform conveys but a little of the story of one of the Preston Grasshoppers’ teams – the Preston Grasshoppers Strollers. 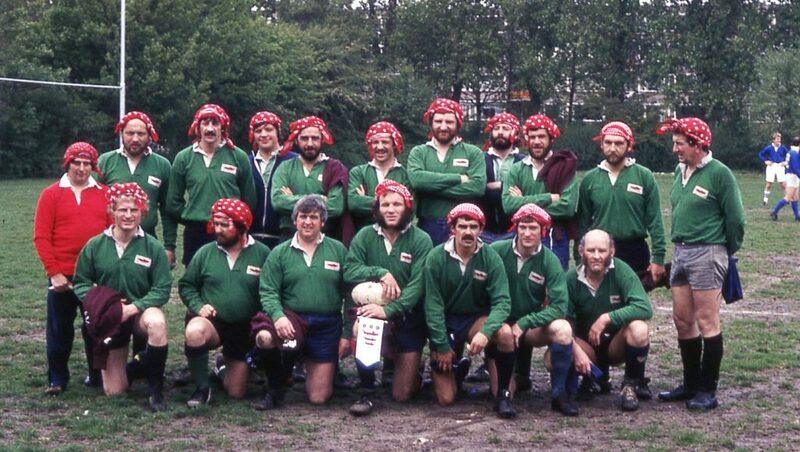 Most of this story was told on rugby fields and in clubhouses throughout the UK and, notably, in the Low Countries. A team out of the ordinary – blessed with players who had mainly ‘done a bit in their day’ and who, while they’d not exactly been knocking on the door of international recognition, knew what they were good at, played for the team, and, overall, didn’t lose very often. This is what probably accounted for the team’s longevity, for many of its members had been playing for Hoppers through the lean years of the 60’s and 70’s, a period during which ‘Hoppers kept a tenuous hold on ‘first class’ status, but were much better at getting good fixtures that winning them. Happy Saturday afternoons were therefore not overly common and stuffings were unfortunately frequent. Not that we didn’t have our moments, you understand, just that there weren’t enough of them. It came to pass that as the cannon-fodder got older, and graduated back into the lower teams, a wonderful thing happened. We started winning – a lot! And so it was that when Mr Robert Satchwell, newshound extraordinaire, was persuaded to start an invitation team, it wasn’t long before many more than adequate players with adequate ‘experience’ began to gravitate to a team that offered regular rugby, good mates and lots of numbers in the ‘points for’ column. We all said ‘just one more season’ – once a season – and got on with enjoying life. 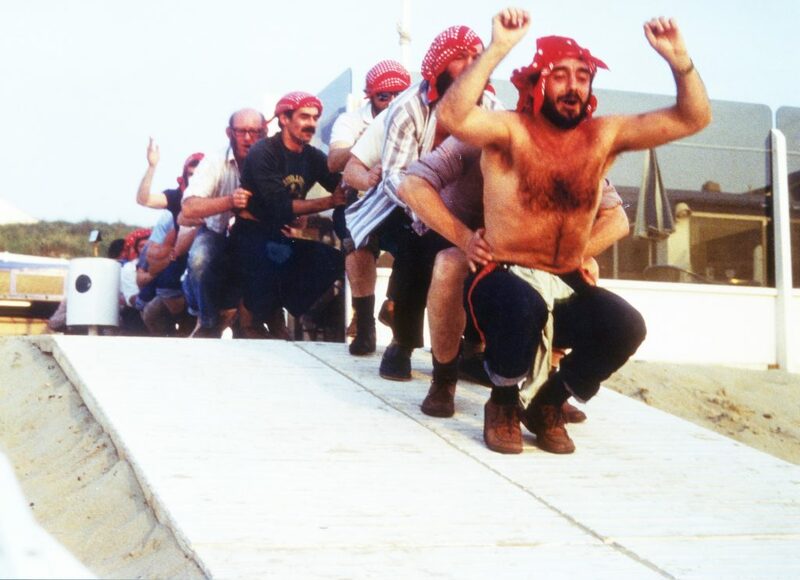 The Tours and the Songs were a natural progression – and the Strollers also spawned 25 years’-worth of ‘Hoppers Pantomimes’, but that’s for another exhibition!! 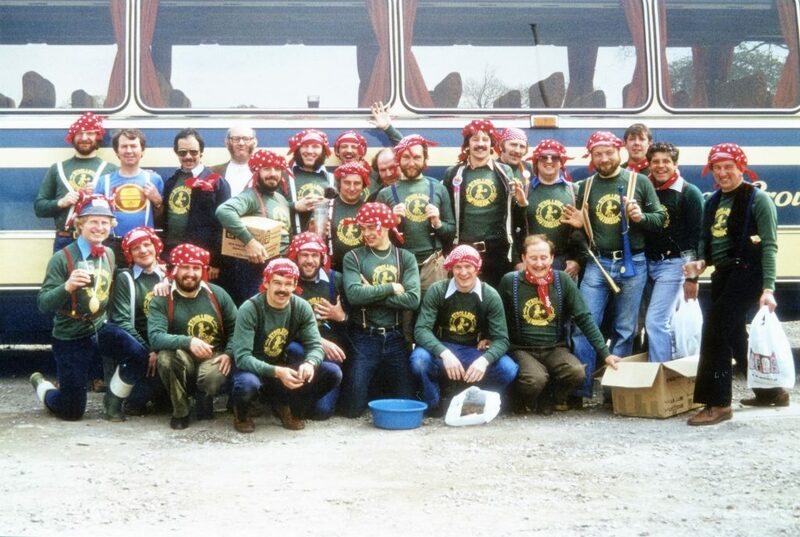 The general feeling was of being part of an experience far too rewarding to stop – even if it was revolutionising the profits of the drug companies as well as (more pleasurably) those of the brewers and the port lodges. Eventually however, all things come to an end. ‘The End’ was, however, particularly satisfying as it came about 15 years after we all thought it would. We carried a quorum into the new Millennium, but various ailments were taking their toll, and the jokes about Zimmers were beginning to be not quite so funny. 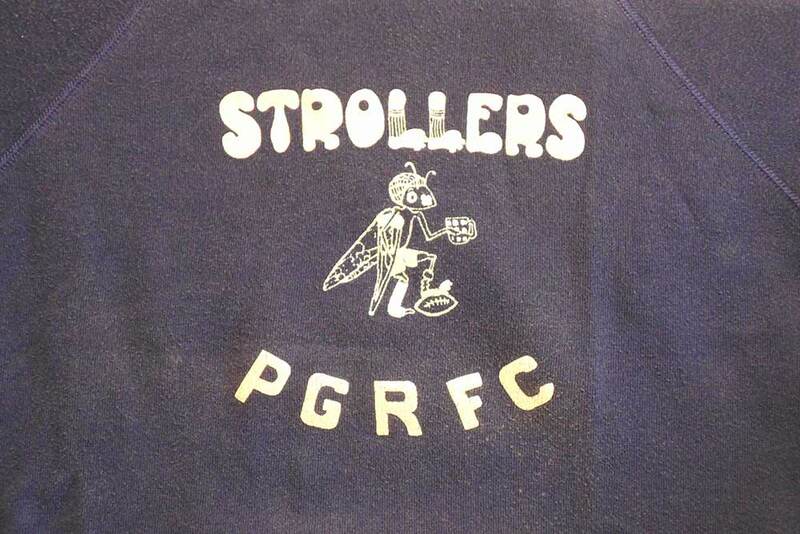 Eventually we all agreed that the Strollers should do the decent thing, and, as a playing side, roll over, and die. 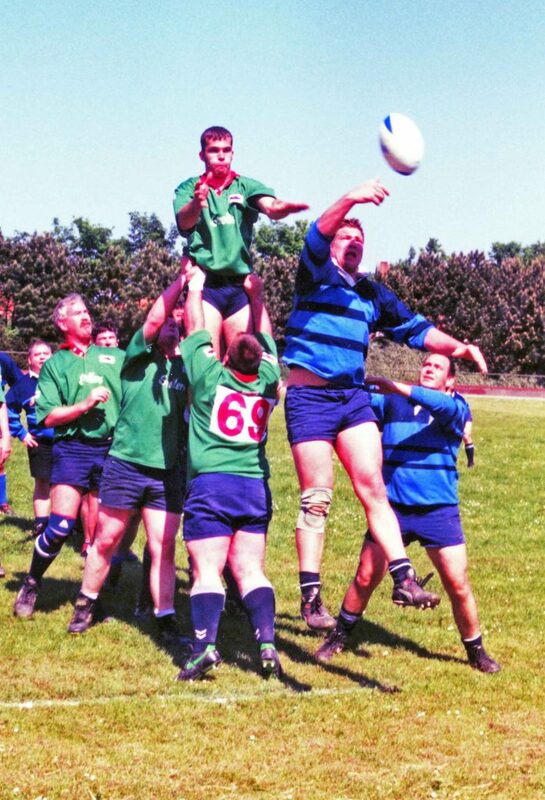 Good luck to our successors and all those in rugby who carry on proving that ‘getting older’ need not be synonymous with ‘having less fun’.